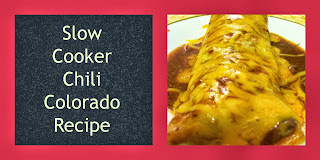 There is a little Mexican Restaurant right around the corner from my house that makes the best Chili Colorado burritos! I like it so much that I've convinced my husband to share two entrees with me every time we go so I don't have to choose between the Chili Colorado and something else. I was craving Chili Colorado one day right before I was heading to the grocery store. I decided to try to make it at home. I looked up recipes and in typical Allison style; I merged a few recipes into one. I'm pretty sure I would need a 12 step program to follow a recipe to a T. It's just not in my DNA. I blame my mother; she's the one who taught me to cook after all. You're going to need two slow cookers for this recipe if you want to make it from scratch; one for the beans and another for the meat. I promise that it is worth the extra cleanup effort. Plus you will have extra refried beans to freeze for later. 1. Season meat with salt, pepper, cumin, and oregano. 2. Sear the beef in olive oil in a skillet over medium/high heat. 3. Add the beef to a slow cooker and top with both cans of enchilada sauce. Cook on low for 7 hours. Once the beef and beans are cooked, it's time to assemble the burritos. 4. In a large flour tortilla layer some beans and beef mixture and roll into a burrito. You'll want to use a slotted spoon on the beef so you don't get too much liquid into the burrito. 5. 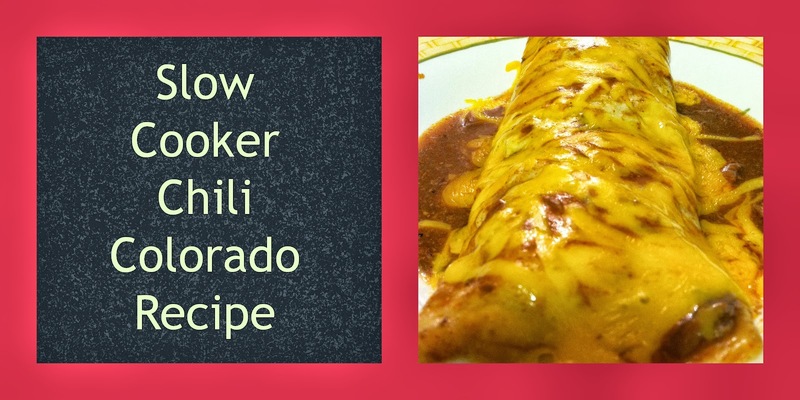 Smother the burrito with some of the beef sauce and top with cheddar cheese. 6. Cook the burrito for 1 minute in the microwave to melt the cheese. I actually like my Chili Colorado burritos better then the restaurants since they're less salty. I can taste the other flavors better and best of all; I can make 6 burritos for the price of one burrito at the restaurant. And since everything goes into a slow cooker, it's perfect for our busy weekday nights. I hope you love it as much as we do! 1. The night before, soak the pinto beans in water. I add some garlic powder and chili powder to the water for flavor but that is optional. 2. The next day drain and rinse the beans. 3. Add beans, onion, jalapeno, garlic, cumin, 1 t pepper and chili powder, to the slow cooker. Cover the beans with just enough water about 1/2 inch above the beans. 5. Drain the bean mixture into a bowl and return the beans to the slow cooker. Add back a cup of the bean water to the slow cooker and use an immersion blender to puree the beans. You'll need to add more water until you get to your desired constancy. Once the beans are pureed, add salt and pepper to your taste. These freeze great so you don't have to make them every time you want refried beans. I usually double the recipe and freeze them in 2 cup portions with is the equivalent of 1 can. I like making them myself versus the canned variety since they are healthier and cheaper. These have a fraction of the salt canned refried beans have and you can make them to your taste. I like my beans spicy, but you could easily make them without the spice. Sounds absolutely delicious! I have never tried to cook much Mexican at home. I also am terrible at using my slow cooker.